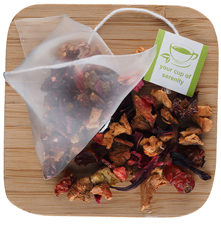 Our Pom Apple Caffeine-free Fruit Infusion packs a bushel of dried fruit flavors in every sip. Vibrant notes of apple, carrot, hibiscus, sea buckthorn berries and goji berries will delight your palette and rejuvenate your body. Packed with vitamins. 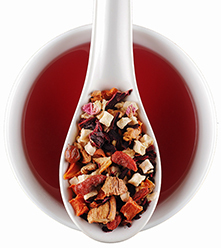 Apple, hibiscus, carrot, sea buckthorn berries, goji berries, and lemon peel compliment this healthy and delicious Pom Apple Fruit Infusion. The naturally sweet fruits and rejuvenating herbs will replenish your mind and body without any caffeine or added sugar. 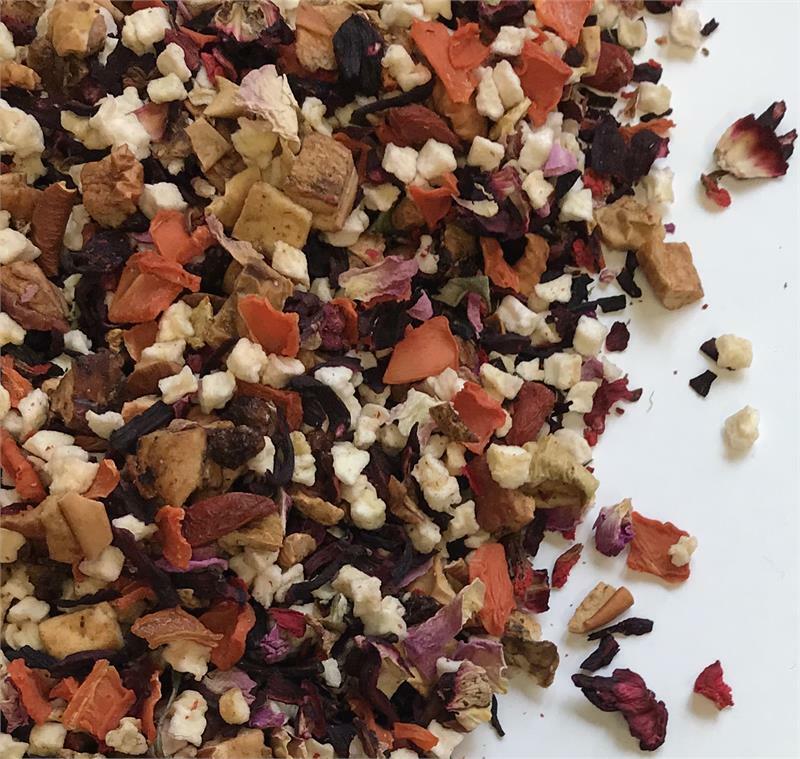 This colorful blend brews a healthy cup that is also delicious served over ice on a summer day. Try it as a warm weather spritzer!